Description Digital scan of a sepia Kruse family photo. 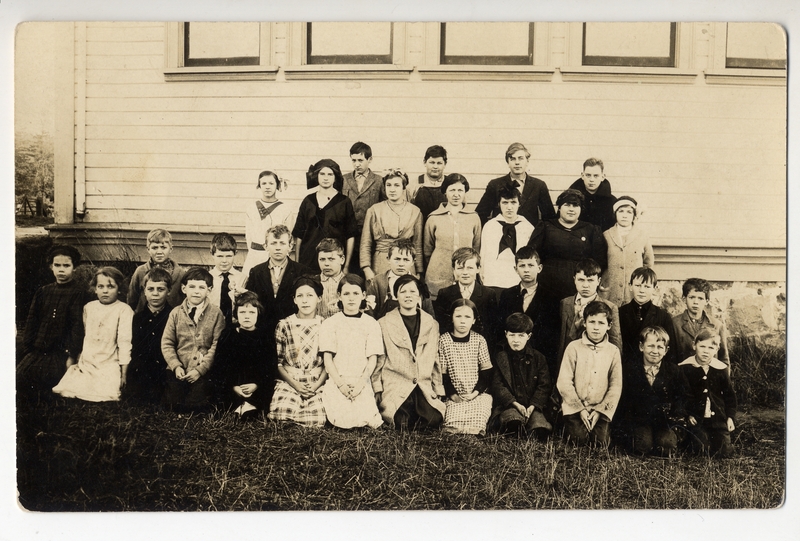 Notes on back of original: 1915; ""Spring Brook School"" on Boones Ferry Rd. Violette Kruse - 2nd row from top; 2nd person in on right side w/dark top; Herbert Kruse - front row - 2nd from right.